NOTE: Do not use while pregnant or breastfeeding. Hi, I have PCOS, and I'm about to start your programs. Can I take the female hormonal supplements at the same time as The full body cleanse, or should I do that separately? You can add the Female Hormonal to the Full Body Cleanse, but it's always best to take it after cleaning out your system. If you're looking to add something to the regimen to help with some of the symptoms associated with PCOS we recommend taking the Yoni Formula. Just be sure to allow 1-2 hours in between taking the supplements for the cleanse and taking the additional formula. I had a full hysterectomy in October 2011, which put in the second stage of menopause. I was 51 years of age. Ever since the hysterectomy, I've developed the other symptoms of menopause, which include a lot of things that affects my life daily. Will the Female Hormonal help with the problems. 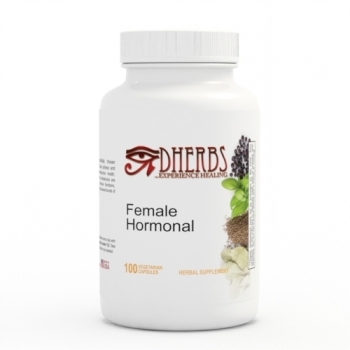 Yes, the Female Hormonal formula can help assist with the symptoms of menopause. We suggest doing the Female Cleanse to help rejuvenate your female reproductive system. The formula's in this cleanse helps to aid with the conditions of menopause. Continuing with the Female Hormonal formula after cleansing is also recommended. Please take the time to review the article and suggested products below.